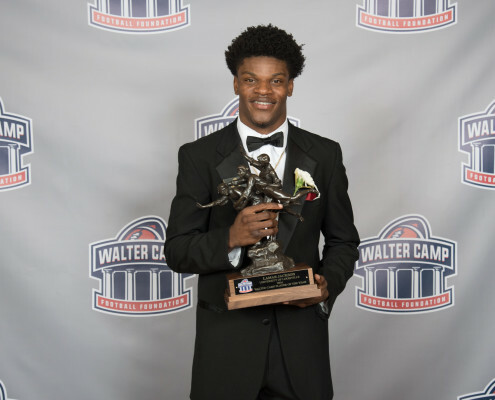 University of Louisville sophomore quarterback Lamar Jackson (Pompano Beach, Fla.) has been selected as the 2016 Walter Camp Player of the Year. The 50th recipient of the Walter Camp Player of the Year award, Jackson is the first Cardinals player to win the prestigious honor. Jackson is the 18th quarterback to earn the award. Jackson is also ninth player from an Atlantic Coast Conference school to win the award, and the second in the last four years (Jameis Winston, Florida State, 2013).